Youthful hero Myles Falworth is the son of a lord unjustly condemned for treason during the reign of Henry IV. Determined to vindicate his father, Myles grows in knightly prowess and virtue until his chance finally arrives. 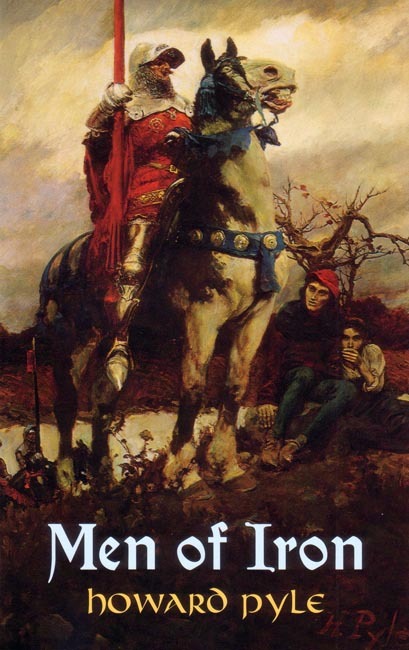 Author Howard Pyle tells the story with vigor, enthusiasm, and moral purpose that brings the history of those stirring times before the eyes of the reader. Recommended for seventh-grade. Complete and unabridged. Black and white. Original publication 1892. 5.25 x 8.5inches. Soft cover. 224pp. "Men of Iron" is a book boys will enjoy reading. It has daring swordfights and emphises the chivalry of the knights, which is sadly neglected in other books about knights in the middle ages. Buy it; you won't regret it!